Our lovely candles and scent diffusers are the best way to add unforgettable warmth and fragrance to your home. Featuring a mix of the quirky, the whimsical and the reimagined, our décor is as distinctive as your taste. Take a virtual look through The Little House Boutique and find that perfect piece you’ve been searching for. Be transported to your own peaceful paradise with this sumptuous, excursion diffuser. 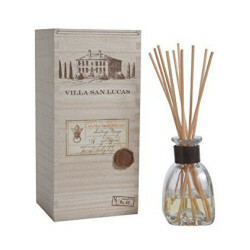 Insert the wicker reeds into the open bottle and the sticks will permeate the scent throughout the room. 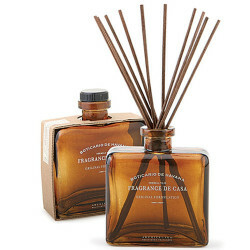 Encased in a frosted glass bottle, this diffuser will add an air of sophistication wherever placed. A wide range of exquisite scents are available all designed with pure relaxation in mind. The Agave Sage Diffuser features a distinctive blend of Agave Leaves, Bergamot and Sandalwood. Our complex and powerful fragrance blend is continuously diffused into the air, instantly greeting anybody who enters the room. 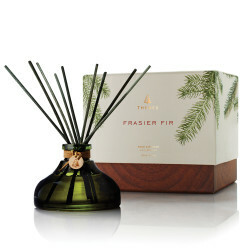 Each diffuser is blended using the finest ingedients and fragrance oils available. 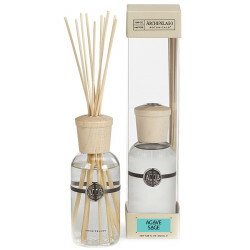 Diffuser set incldes Decorative Bottle with 10.2 fl oz / 300 ml of Oil and Natural Diffuser Reeds. Some might call this a Christmas scent, but it’s so much more! This festive item posesses a crisp, just-cut forest fragrance that evokes seasonal celebrations, holidays and the winter solstice. A glowing focal point for entertaining, holiday décor, hostess gifts and more.